Aeroflot, Russia’s largest airline, has launched its 2019 summer timetable, which kicks off on March 31 and runs through to October 26. Aeroflot is to operate to 159 destinations (up from 146 a year ago), including 58 within Russia and 101 in 53 other countries around the world, in the upcoming IATA summer season. Positioning itself as one of the leading airlines for European-Asian transit routes by offering some of the quickest and most affordable options between the two continents, Russia’s leading airline is continuing to develop its network in Asia and beyond. For example, from June 1, the number of flights to Seoul will double from seven to 14 a week compared with the winter programme and, as per usual, Aeroflot will also increase the frequencies of its flights to Beijing from 14 to 21 a week for the summer season. In Europe Aeroflot is further expanding its presence this summer with flights from Moscow to the two new destinations of Marseille (five times a week) and Palma de Mallorca (four) from June 1. Both new routes will be served using Airbus A320-family aircraft. Aeroflot is also offering more flights to European holiday resorts. Flight frequencies will increase on routes to Antalya (from 14 to 21 per week), Burgas (three to seven), Larnaca (14 to 21), Malaga (10 to 14), Nice (nine to 16), Thessaloniki (four to seven) and Tivat (seven to 14 per week). The airline will also be resuming flights to other popular European summer destinations of Heraklion (14 flights per week) and Split (seven). Flight frequencies to the following cities in the Middle East and Asia will also increase: Beirut (from three to four per week); Tehran (five to seven); and Ulaanbaatar (three to seven). Regarding the USA, Aeroflot’s summer schedule will be seeing its usual increase in the number of flights to the US cities of Washington (one to three per week) and New York (14 to 21). In terms of regional development, Aeroflot is also planning to increase its flights to cities in other CIS countries that include Aktobe (from four to seven per week) and Chisinau (two to seven). On the domestic front, the main news is the launch of two new direct services between regions, bypassing Moscow. These are Krasnodar-Simferopol and Volgograd-Sochi, with daily flights served by Boeing 737-800s. In addition, the new timetable will continue to operate daily flights directly between Sochi and Simferopol. The new summer schedules show that, on a number of routes, flight frequencies will increase significantly. 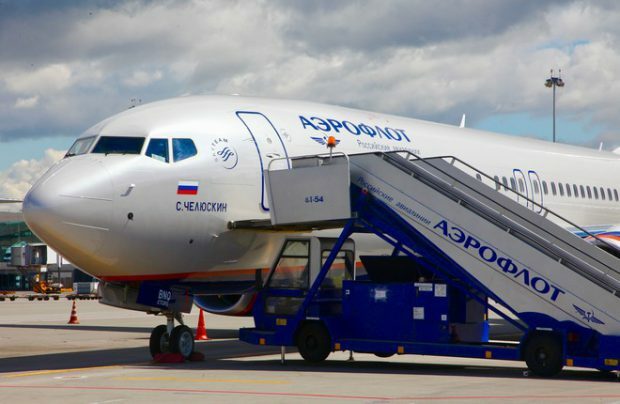 To meet increased seasonal demand, Aeroflot has developed an extensive flight programme to Russia’s Black Sea resorts of Anapa (from 21 to 35 per week), Simferopol (28 to 84), Sochi (70 to 77) and it is also resuming flights to Gelendzhik (21 flights per week). The number of flights will also increase on routes to other Russian cities, including to Abakan (from five to seven per week), Izhevsk (14 to 21), Kazan (54 to 56), Kaliningrad (35 to 42), Mineralnye Vody (28 to 35), Nizhny Novgorod (35 to 42), Saratov (28 to 42), Ulyanovsk (14 to 21) and Yakutsk (five to six). Aeroflot’s summer route network will also be complemented by the extensive geography of its subsidiary airlines, with Rossiya Airlines operating flights to 59 different destinations under Aeroflot’s commercial management. They include more than 40 domestic and international flights from St Petersburg, including services to Simferopol, Sochi, Tel Aviv, Rome, Milan, Nice, Paris, London, Berlin, Prague and more. Rossiya will also operate another half-a-dozen flights from Moscow’s Sheremetyevo airport, its new base in the capital, to various destinations in Russia, as well as international flights to Paris-Orly, Nice, Denpasar (Bali) and Colombo. Meanwhile, Aeroflot Group member regional carrier Aurora will offer passengers 20 destinations in the Far East, and low-cost carrier Pobeda is continuing to develop its own flight network which, for the summer season, will be expanded to include 120 destinations in Russia and abroad. In total throughout summer 2019, Aeroflot Group members will operate regular flights to 358 destinations (296 of which are unique) in 57 countries, whilst he group’s route network will be further supplemented by 162 destinations operated by partner airlines under code-sharing agreements. Thanks to this, a further 19 countries will appear in Aeroflot’s route network: Albania, Algeria, Argentina, Australia, Bosnia and Herzegovina, Cambodia, Ghana, Iceland, Kenya, Laos, Luxembourg, Malta, Macedonia, Mexico, Morocco, Myanmar, New Zealand, Saudi Arabia and Tunisia. In total, including these cooperations with partners, Aeroflot Group will operate flights to 520 destinations (458 of which are unique) in 76 countries in the summer 2019 season.